Ontos: "You Didn't Happen to See Which One Cut Your Throat?" "You Didn't Happen to See Which One Cut Your Throat?" 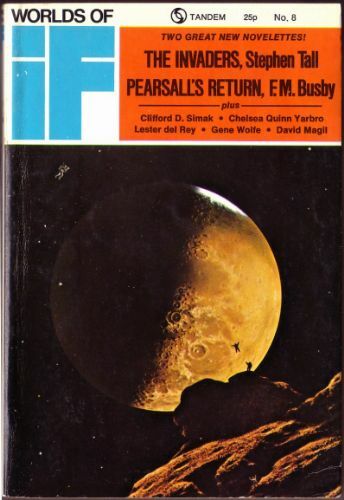 First appearance: Worlds of IF, July-August 1973. "Such a disorderly young lady! How come she was working for law and order?" to stay dead . . .
- David Magil's minuscule ISFDb bibliography is (HERE).